If you haven’t already heard about the Chap Olympiad – now into its second decade of events – then you have some catching up to do. Every year hundreds of well-dressed competitors assemble in London’s Bedford Square Gardens to compete in such games as ironing board surfing, umbrella jousting and volleyball with bowler hats. The leading event of the vintage calendar is hosted by The Chap Magazine, the publication that inspired the movement of “anarcho-dandyism” – a bold attempt to fight back against a society that has lapsed in its standards of dress and decorum. While the events have always varied each year, this edition on July 14 comes with a bold redesign. Rather than a central stage surrounded by spectators, several stages will fill the gardens with events taking place throughout the day. This aims to widen participation, although it has caused concern among regular attendees about the need to coordinate being in several places at once while negotiating cocktails, pipes and maintaining sartorial standards. As part of the new format competitors are invited to beat existing world records. One target is the most hats worn while riding a bicycle. “The world record is 23 hats, currently held by Daniel Wilmer of the United States,” said The Chap Magazine. The event welcomes a broad range of dress styles from vintage enthusiasts, goths and plenty more. 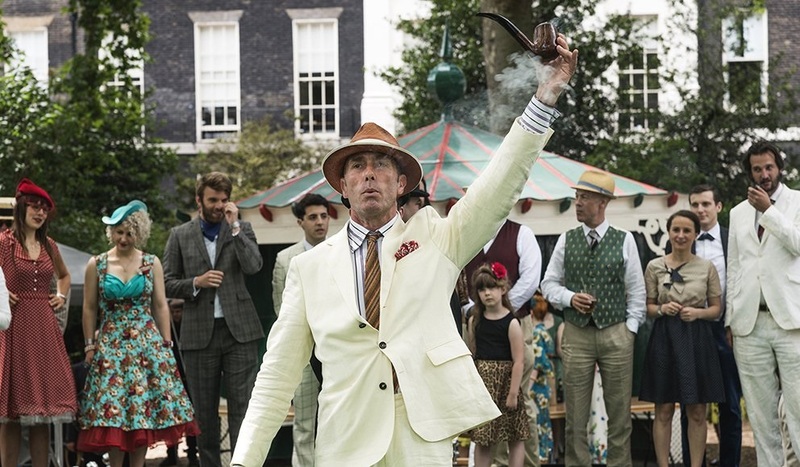 “When it comes to dressing for The Chap Olympiad, virtually anything goes – except of course for sportswear of any description and pantaloons de nimes [jeans],” said the hosts.